Why don’t you experience Japanese-style room at local housing? We will explain traditional Japanese furnishings such as ‘Yukimi Shouji’ (paper-sliding door), ‘Tokonoma’ (recessed alcove), ‘Kake-Jiku’ (hanging scroll). It is just one line to go to Japanese old town like Shibamata, Asakusa, Ginza. It will be a special day taking a walk wearing traditional Kimono around Japanese shita-machi. 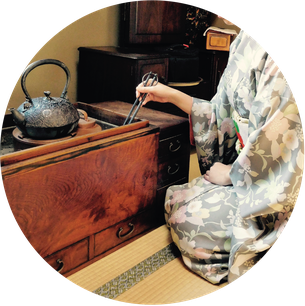 Let’s experience tea ceremony at traditional tatami room! 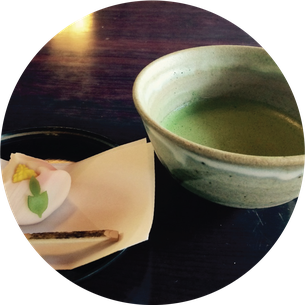 You can try Japanese green tea with beautiful sweets. You can also try to make a tea by yourself. 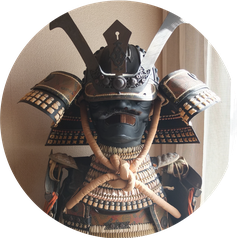 There are many of Japanese martial arts equipments such as very rare Japanese armor, archery wear, Kendo wear, Judo wear, and karate wear. You can wear them and take commemorative photos! 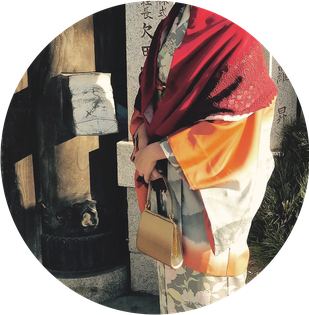 We will present you one Haori coat after experiencing Kimono rental. They are second hands but we assort valuable Kimonos. You can wear it as an everyday wear jacket. is according to a famous short poem by Mitizane(an ancient nobleman ). Michizane was very fond of ume (Japanese plum) trees and composeda waka (a traditional Japaese poem of thirty-one syllables) for the tree in his garden when he was leaving Kyoto.
" Whenever the east wind blows, my dear plum blossoms remember spring , even if your master won,t be here. "When the east wind blows let it send your fragrance , on plum blossoms, although your master is gone, do not forget the spring "
"We want Everyone to dress up in Kimono." We have good valued kimonos gathering from all over Japan. Let,s have fun and go out in Kimono! It is very wonderful to wear a kimono to parties and tea ceremonies, wedding ceremonies. 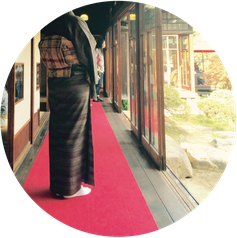 ★You will get the good old Haori coat.